Authorities in London have been accused of discriminating against motorcyclists, after calls to exempt powered two wheeler riders from the Capital’s new Ultra Low Emission Zone (ULEZ) fell on deaf ears. The claim comes from the Motorcycle Industry Association (MCIA) which represents manufacturers and suppliers of powered two wheelers and associated products. Tony Campbell, CEO of the MCIA, says London’s mayor has ‘simply got this wrong’. The first part of London’s ULEZ, which came into force yesterday (8 April), covers the existing Congestion Charging Zone (CCZ) and is in operation 24 hours a day, seven days a week. Sadiq Khan, mayor of London, described the ULEZ’s introduction as a ‘landmark day’ for the Capital – while TfL estimates the scheme will lead to a 45% reduction in toxic emissions from road transport within two years. Under the terms of the ULEZ, riders of motorcycles, mopeds, motorised tricycles and quadricycles (L category) which fail to meet Euro 3 emissions standards now have to pay £12.50 a day to ride in the Capital – in addition to the existing congestion charge. TfL says the charges are calculated on the emissions a vehicle produces, rather than its age, but acknowledges that powered two wheelers affected ‘generally speaking’ tend to be those registered with the DVLA before July 2007. In a press release to mark the launch of the ULEZ, the MCIA has reiterated its call for motorcycles to be exempt from the charge. The MCIA is ‘extremely disappointed’ that riders of motorcycles are being charged at the same rate as single-occupancy 4x4s from the same era – as they ‘occupy minimal road space and reduce traffic congestion’. The MCIA is also concerned that riders must prove their vehicle is compliant – which may require an emissions test costing £175. 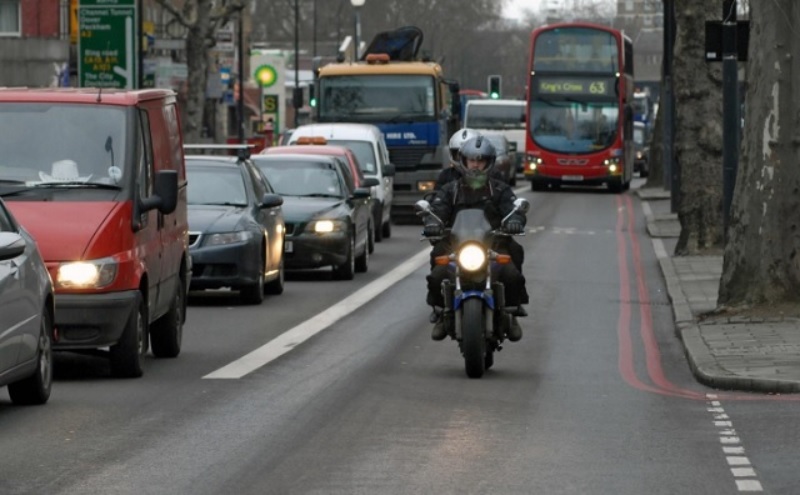 It is calling for TfL to suspend the charge for motorcyclists and engage with stakeholders, so that riders can ‘assume their rightful place at the heart of the air quality and congestion solution, instead of being erroneously vilified’. Tony Campbell, MCIA CEO, said: “The mayor of London and TfL have simply got this wrong. “PTWs can and do provide cost effective, non-congesting and in most cases, low or zero polluting transport solutions in the urban environment.